PLEASE NOTE: There is a fee for all no-shows and cancellations within 24 hours ** We provide physician-supervised weight-loss services at our Sunnyvale location including COOL SCULPTING** Dr. Inna Yaskin is an experienced physician with Internal and Geriatric Medicine Board Certifications. Dr. Inna Yaskin also manages diabetes care. She provides diabetes teaching, management, and nutrition counseling. Her diagnosing skills, excellent bed-side manners and attention to patients from early diagnosis and prevention, to establishing and executing a treatment plan to communicating with the patients and their families, has earned Dr. Yaskin dedication of hundreds of families. There is also a full line of Pharmaceutical-grade vitamins available for purchase after a physician consultation. Simple, I like the way she goes over my chart and explains things and listens to me. And her staff is very kind and sweet. Dr. Yaskin is by far the best doctor I've dealt with since moving back to the Bay Area 7 years ago. I went through several bad doctors before receiving a referral from a friend in her favor. She makes me feelas though she truly cares, and she stays up to date on all my issues even when I am seeing other specialists. I highly recommend her. Dr. Yaskin is a kind, knowledgeable professional. She is tremendously thorough and considers the whole patient. Her staff is excellent! The front office staff was very professional and greeted me immediately upon arrival. Was seen by three professionals who took my vitals and history. The LPN, the PA, and the Dr. Yaskin who took in assessing my condition and formulated aplan of action. Would recommend either her Mountain or Sunnyvale offices. very nice, makes you feel comfortable. And very helpful with assisting me with a billing issue which I have never had a doctor want to personally get involved with something like that. I feel exceedingly lucky and grateful to have Dr. Yaskin for my primary care physician. While my appt. was with Kayla, her attending nurse practitioner, Kayla impeccably reflects Dr. Yaskins professionalism, thoroughness and moreover hergenuine caring. I actively participate with Dr. Yaskin in my health/medical considerations, and what I appreciate the most is her sensitive, cooperative approach. I feel heard and respected. Thanks to Inna and all personal for the caring attitude. This is my second annual visit with Dr. Yaskin. I have enjoyed both visits. Dr. Yaskin asked many questions about my everyday life and routine. Chatting with Dr. Yaskin was like chatting with a friend she made me feel comfortable. Ifelt Dr. Yaskin was concern about me and my health. I did not feel rushed. She if I had any question and I like that she did not just rush in and rush out. Great. everyone is very caring and professional. Dr. Yaskin is very friendly and is very patient. She takes time to listen to your concerns and gives the right kind of advise be it a required MRI, X-ray or blood work. Very efficient staff and there is hardly any wait time at the office. I waited for about 10 minutes, greeted by Medical Assistant that took my vital sign and asked about my profile and what I was there for today. Very easy to give information, which was entered in my file online. I sawa Nurse Practitioner that got to more detals about the ststus of my health and needs, very professinal demanor. Dr. Yaskin hen came in and joined and we reviewed my latest lab work and treatment. she also wrote orders for some preventive services I need, good visit. Enjoy and appreciate all visits .. Always polite, listens carefully, asks the right questions, shows sensitivity and sends me for tests that should be done.. an A+ A+ ?????????? Everything was good. All our questions were answered and right directions were provided. 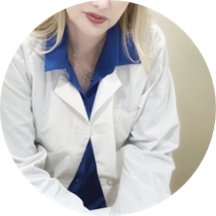 We highly recommend Dr. Inna Yaskin for those who don't have primary physicians yet. Dr Yaskin and her staff are always friendly and informative. They take the time to listen to me and give recommendation. appoint for B-12 shot only, very good treatment. I had a pleasant and thorough medical check-up with Dr. Yaskin yesterday when she listened patiently to my treatments undertaken by my former doctors and offered useful suggestions and advice on alternative tests currently available. Herbedside manner was excellent as she delivered friendly advice without giving the impression she was giving a lecture. I would not hesitate to recommend her to anyone seeking a knowledgeable doctor who has the time to listen to her patients' medical problems. Wazir A. 5/20/2017. Dr. Yaskin has great energy, is professional but not cold. My mother and I have been seeing her for years now and the service has remained nothing short of optimal. Dr Yaskin is very quick and intuitive, yet letting patient she really cares about your problem. What a great professional team--from receptionists, medical assistants to doctor. Wonderful experience to be seen by Elite Medical. She is an excellent physician and I travel far to see her. I love Dr. Yaskin. She's so caring, and such a great doctor. She takes the time to research doctors to refer me to (for example: pain management). My other doctors never did this. I am disabled and sometimes I am justnot well enough to do things like this on my own. Dr. Yaskin and her staff have greatly reduced my stress and make things so much easier on me. My wait time has never been more than 10 minutes, and they are usually on time which is wonderful also. The experienced doctor, very attentive personal, nice office. Dr Inna Yaskin was not explained my problems and not response my questions also. She was always in hurry to run. I didn't think my visit was worthy and don't want to come for follow up visit as well. I will look for another practitioner to follow up my case. Always friendly, helpful, and willing to spend time to answer questions. miss Dr Y, don't know why NPT's sent instead of her, when I called back to office, got message through Hope to see Dr Y soon. They never fail to impress me. Great bunch of people. Keep up the good work team! My first visit for an annual checkup went well. The PA saw me first and Dr. Yaskin came in to introduce herself and to go over any questions or concerns that I had about my health. Everything was discussed thoroughly andwas not rushed. Appointment scheduling was easy. Office was clean and staff were friendly and professional. Very caring and compassionate doctors. Good listener and thorough exam from her team.